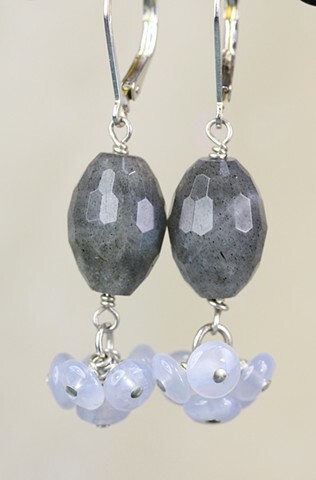 Wonderful labradorite faceted ovals with a spray of blue lace agate beneath. Sterling lever back ear wires. Approx 1 3/4"